"He's always in good spirits." A dog named Endo is one fierce pup — fiercely optimistic, that is. Most of the time he prefers to be jumping. Endo leaps into the air — while wagging his tail — even in moments other dogs might find a little tense or intimidating. 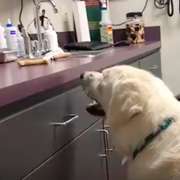 Recently, when Endo was visiting the veterinarians at Colorado State University Veterinary Teaching Hospital (he had a foxtail plant stuck in his ear), someone managed to catch his excitement on camera. As Martha Tissot van Patot, Endo's person, was standing at the counter trying to talk about Endo's visit, he just kept catapulting upward, trying to be involved in what was going on. 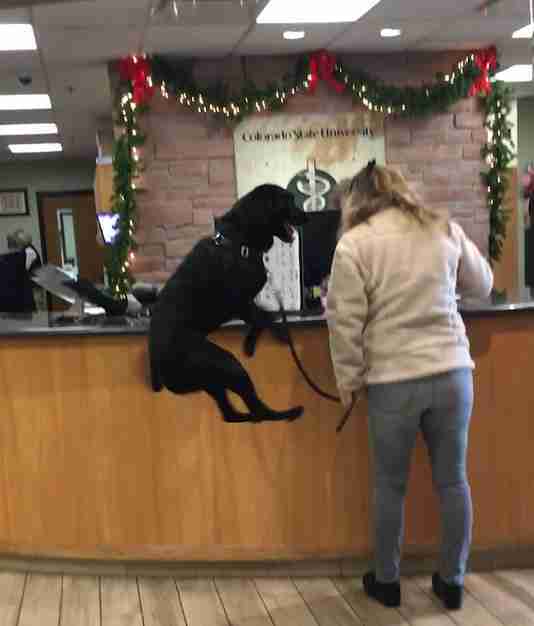 After several bounces, the woman behind the desk can be seen starting to crack up about the positive pup's antics. "He's always in good spirits," Tissot van Patot told the Coloradoan. 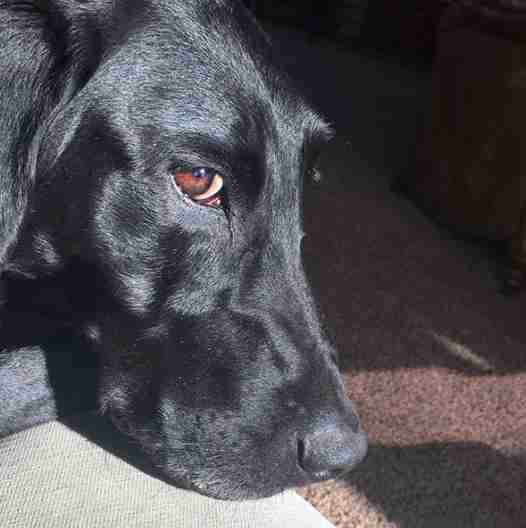 And she confirmed that Endo's behavior at the vet was not a one-time thing — far from it. "Yes, he does the bounce all the time," Tissot van Patot told The Dodo. 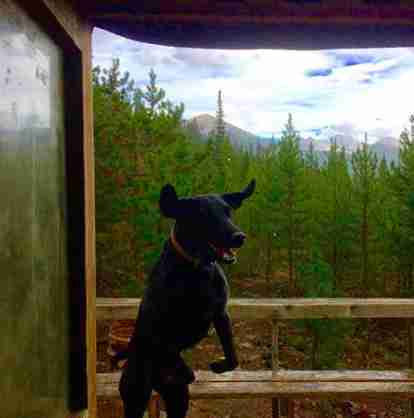 In Endo's world, any everyday activity is a perfect opportunity to jump for joy: "Coming home, leaving, feeding time, mountain biking, ball playing, swimming, skiing," Tissot van Patot said. "Yep, all the time!" Endo's optimism isn't just hilarious, it's also helping people feel happy, whether they see his bounces in person or online — a nice reminder that positivity can be really powerful. It's also oddly appropriate that high-jumping Endo has this particular family — Tissot van Patot is actually a researcher who studies the impacts of high altitude on health. "It's nice to know the sweet lunatic brings joy," Tissot van Patot reflected. You can follow all of Endo's adventures on Instagram.